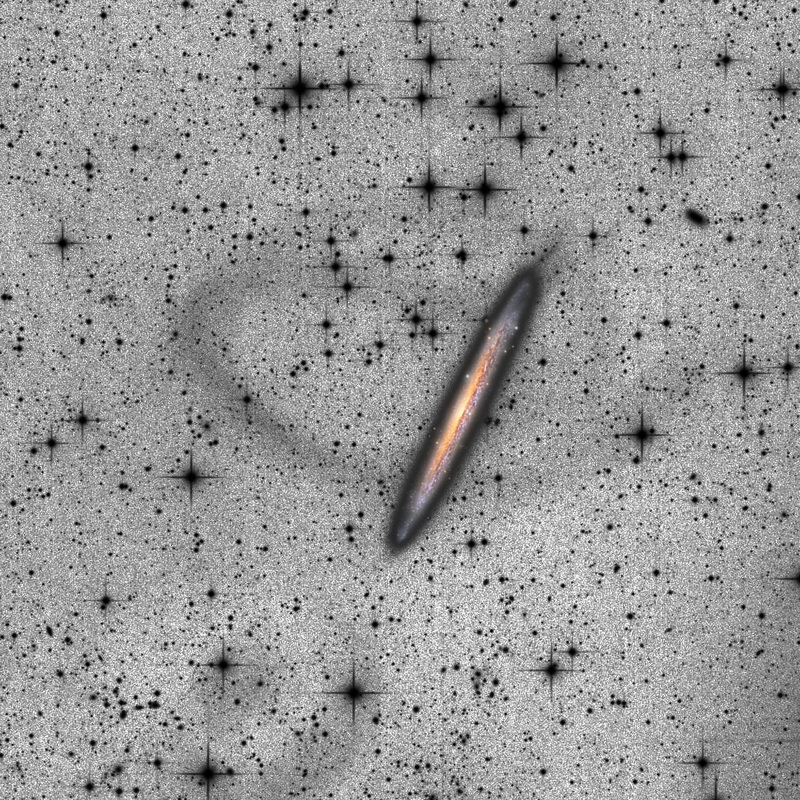 Spiral galaxies have an interesting property: They’re flat. When you see them face-on, you can clearly see their spiral structure. But if they happen to be oriented edge-on to us, they can look nearly as thin as a knife’s edge. NGC 5907 is a great example of that. 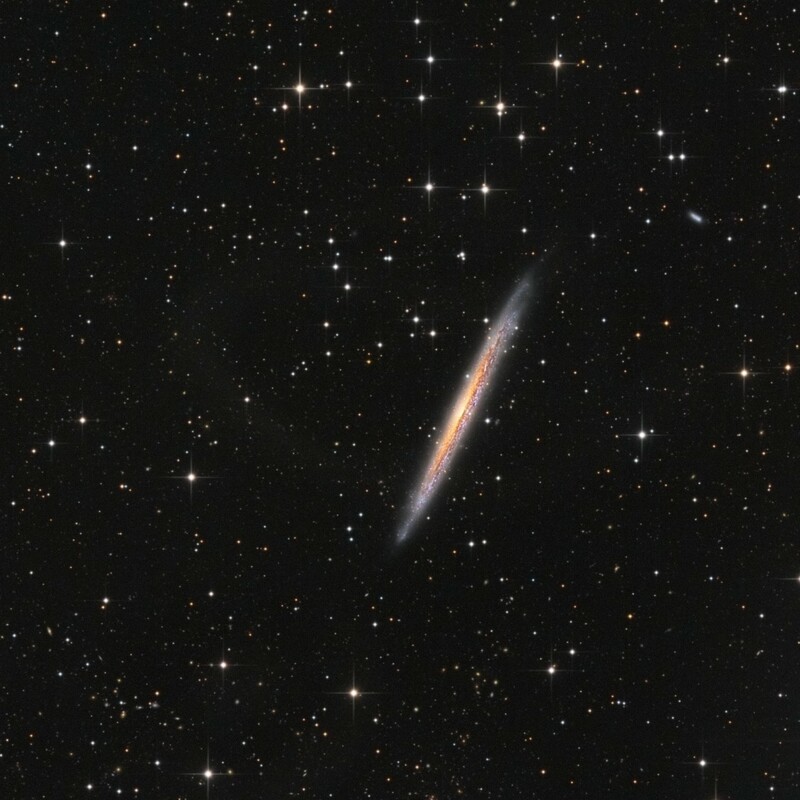 Located roughly 40 million light years away in the constellation of Draco, it is very nearly sideways with respect to us, and so thin it was given the nickname “The Splinter Galaxy”. 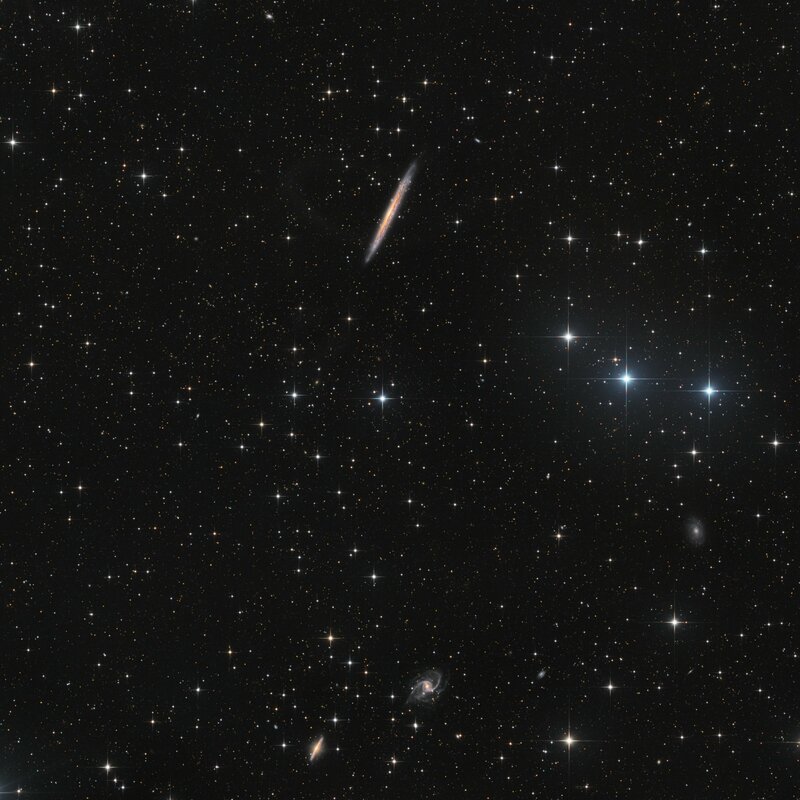 NGC 5907 also has a very faint and difficult to image tidal stream – several loops of stars that surround the galaxy. Astronomers theorize that NGC 5907 was formed about 8 billion years ago from the merger of dwarf galaxies. The tidal loops are remnants of that long ago merger.